In honor of Memorial Day I’m posting this talk I gave on March 10, 2007 at my father’s funeral. Dad would not like what I’m about to say. He was a bit shy and reserved, so he would have hated my bragging about him. But there’s not really much he can do about it now. My most vivid memories of my father are of his absence rather than his presence. The first memory occurred when I was probably three- or four-years-old. I vaguely remember dad was looking for a new suit and I think we were in the old ZCMI in Salt Lake City. I suddenly found myself separated from my parents and began to worry. Then I spotted the familiar look of my dad’s shoes and legs—the eye level of a four-year-old—and I ran head-long toward him. He picked me up and swung me around and it was then I realized it wasn’t my dad holding me. I had mistaken some stranger’s legs for my dad’s. I panicked. The strange man laughed and found my parents a few racks of suits away and I was restored to my father’s arms, safe amid that familiar smell of his Old Spice cologne. The second experience happened when I was probably eight or ten. 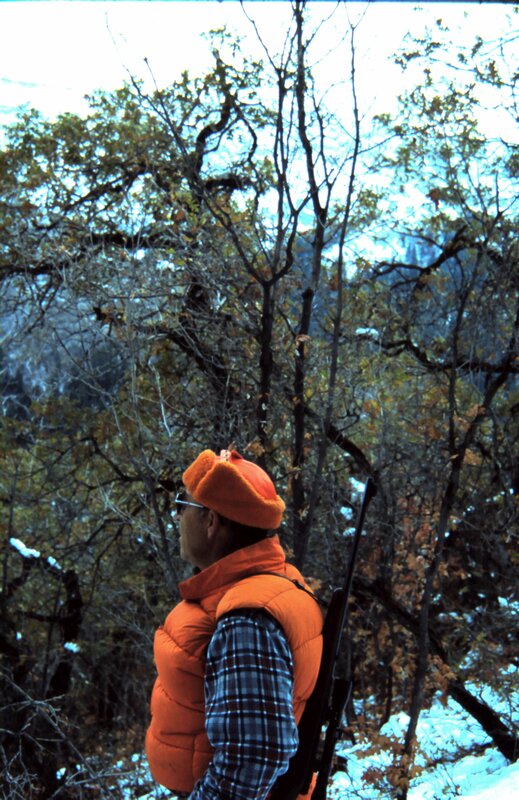 My dad and I had gone deer hunting—and when I say deer hunting, I really mean walking in the mountains and carrying a gun. We never shot anything, but that’s another story. Anyway, we had just climbed up onto this ridge when dad realized we had left the canteen at the place where we stopped for a break several yards back on the trail. Dad told me to wait on the top of the ridge while he went back to get it. I was fine for the first few minutes. 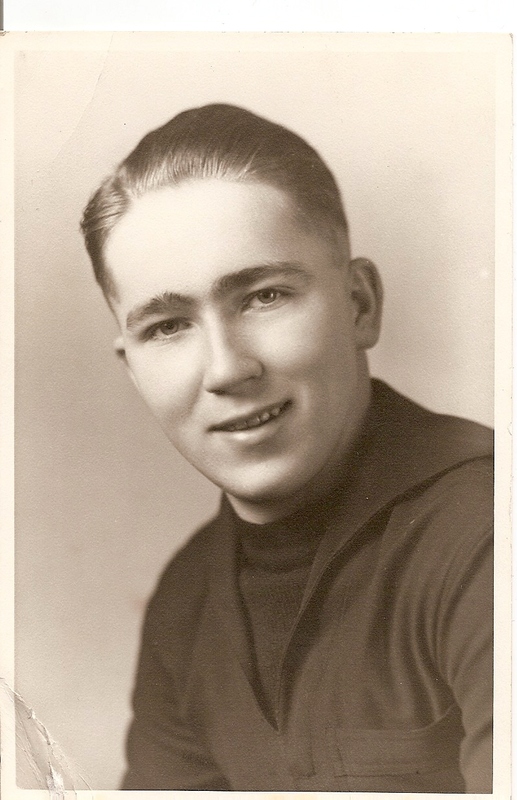 Then I began to wonder if dad was o.k. He’d been gone a longer time than I imagined, probably three or four minutes, but to my child-like reckoning of time it seemed hours. Then I started to look around at how big the wilderness was; I imagined what kinds of large animals were living out there; and I started to think about how I could possibly get back home without my dad. I began to sob. I just knew I was going to die there in the woods. I wanted my dad! But then I spotted dad coming up the ridge carrying the canteen. He didn’t scold me for crying. He told me about how I needed to trust that he would get back, that because of the light layer of snow on the ground, it was really a simple thing for him to follow the trail of our tracks to our canteen and back again, and that most animals were more afraid of us than we are of them. He assured me that I was never in any real danger. I stopped crying. I knew I was safe as long as my dad was there. 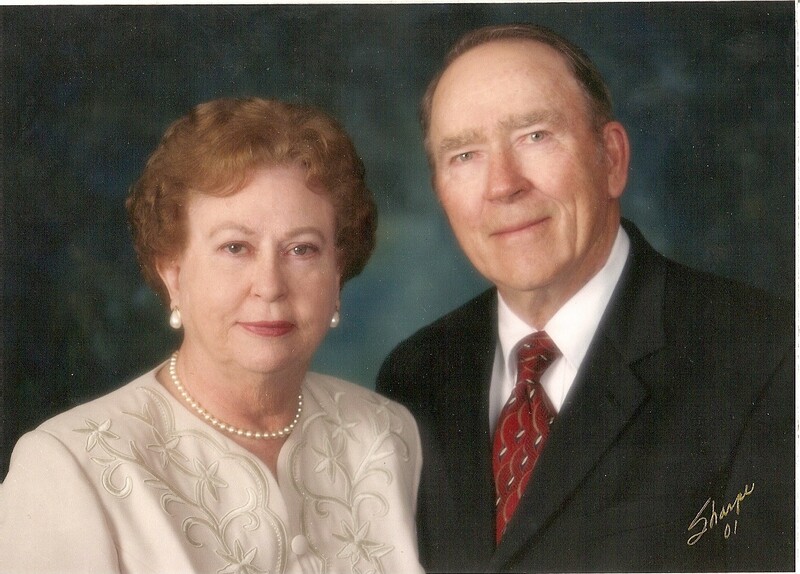 As Brother Deitrick mentioned, my father lost his father on his third birthday. Since dad never had a father, he never really knew what a father is supposed to do. I think he always felt somewhat inadequate—that he didn’t measure up to other dads. But I am here today to say that I had the best dad in the world. 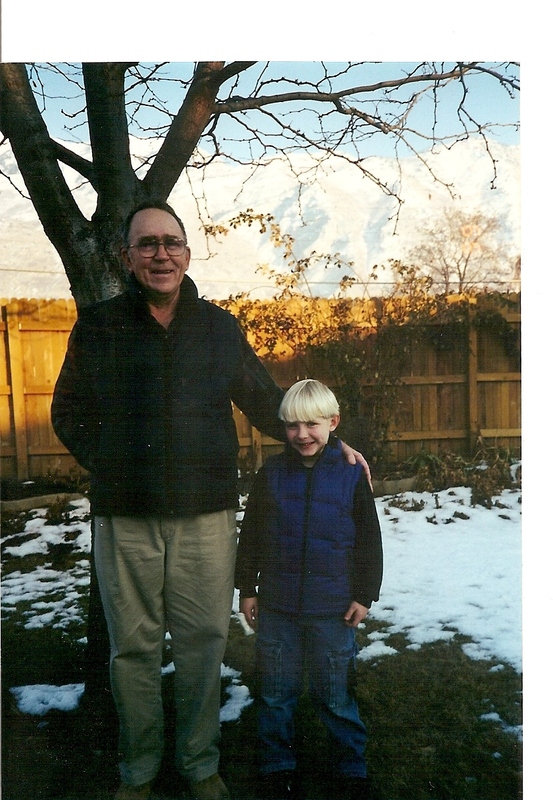 Dad taught me all the essential lessons a father should teach, and we had a great deal of fun along the way. Dad taught me the importance of work. When I was five-years-old, we moved up to Edgemont, where we had a brand-new house sitting on a big lot of weeds and thistle tree stumps and rocks and clay. We had to clear all the rocks and weeds away, pull out several stumps, cover two ditches, build a long fence, bring in top soil, and plant lawns. I know my parents sometimes lamented that our vacations for those years were all spent working on the yard, but I was in heaven. I was daddy’s little helper. I had my own leather gloves, my own hammer and apron with nails. Now, as a father myself, I know that it’s usually easier to just do a job than it is to get your little children to “help.” But at the time I thought I was making a big contribution. We spent hours and hours together, side-by-side, working, just me and my dad. But we also worked on fun things too. One summer, after a lot of pleading on my part, my dad helped me build—and by helped me build, I mean built for me—one of the coolest tree houses in the valley. 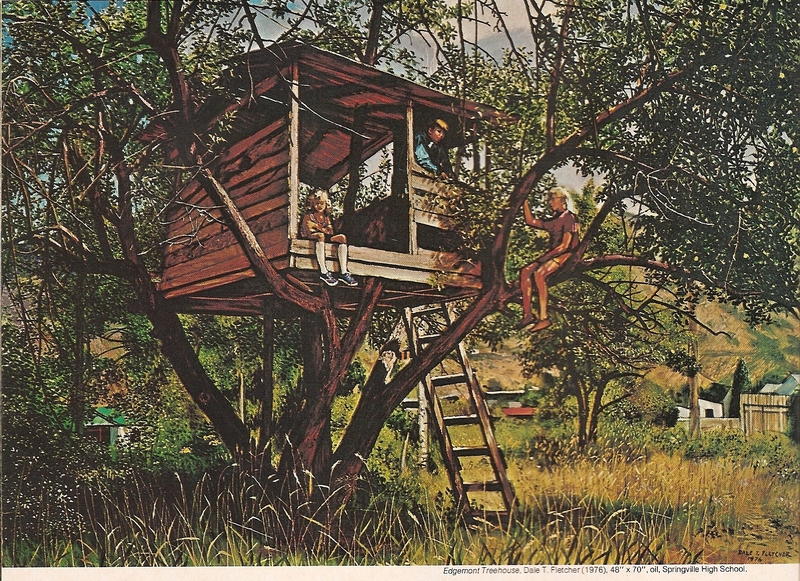 Not one of those Home-Depot prefab jobs, and not one of those six-boards-nailed to a tree jobs, but a real, bang-up, quirky but glorious, dad-made tree house. When we were finished, a friend and I outfitted the place with a flag pole, our own club flag, a couch, hammock, curtains, and an ice box. We even moved a television up there with a power cord when we would sleep there. It was the envy of all the kids in the neighborhood. A local artist even painted a picture of our tree house—last time I saw it, it was in the Springville HS. 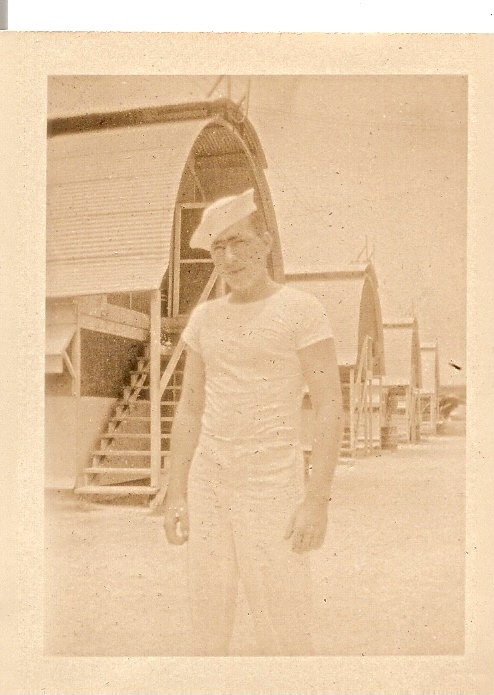 A photo of the painting later ran in the church magazine the Ensign. And while I was in the painting, and the artist got his name on the picture, my father never got mentioned as the builder of the real masterpiece. 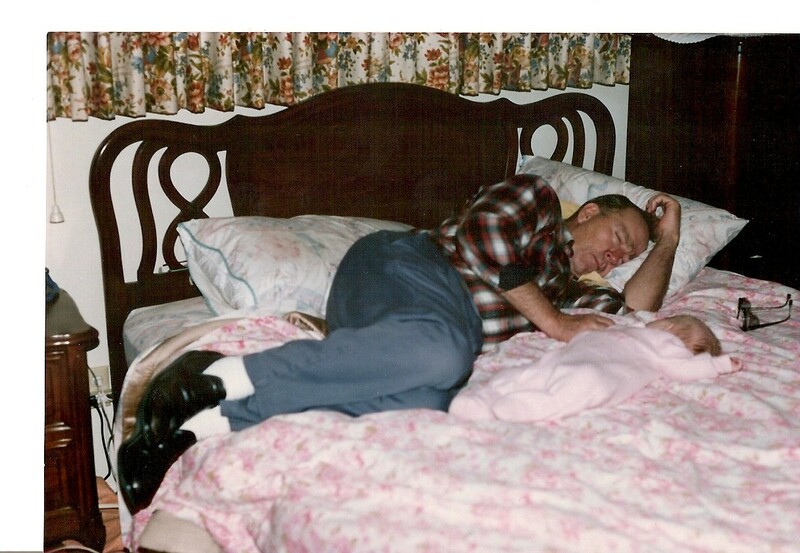 Dad worked hard all of his life and taught me a lot of practical know-how. When my wife and I moved back to Utah and bought a fixer-upper after eight years in the DC area, dad was still there to teach me how to do work with household wiring, plumbing, and other repairs. As dad and I built a shed together in my back yard one summer, I noticed how he still worked harder as an almost seventy-year-old than I did as a 30-something. Working together was prime time with dad. After dad underwent chemotherapy last year, I assumed I would have to help with the yard work last summer. But dad never let up. He took care of the yard all summer. I knew dad was finally feeling the effects of the cancer when he needed a new water pump in his truck and he let me put it in for him. There were other lessons dad taught me. For one, he taught me right from wrong. I don’t think he ever bounced a check, broke the speed limit, or had an auto accident. He was a careful and obedient citizen. And he taught me the importance of not using bad words. As a card-carrying union member and U.S. Steel worker, he taught me never to use such profanities as Toyota, Nissan, Eisenhower, or Nixon. Dad also taught me the importance of friendship. He and mom have been friends with a group of people they have known for most of their lives, in some cases probably well over 70 years. Each month they get together for a dinner or some other celebration. They called it “going out with their gang.” My wife and I always joked that it was a bit troubling to have my parents running around in a gang. But the very fact that these relationships have been able to endure this long is really amazing. Dad was a man of few words. On our honeymoon, Zina and I got just outside Arches National Monument when our car—a German-made Audi—broke down. Mom and dad had to come down to rescue us. I imagine dad probably thought to himself on the drive down “if those kids would have bought a good old American car this wouldn’t have happened.” But as dad helped me try to work on our German-made Audi, he only uttered two sentences: “God bless America” and “No wonder the Germans lost the war.” That pretty much summed it up for him. Dad had a deep love for the outdoors and taught us kids that same love. He always took us kids with him when he went fishing or hunting. And we spent a lot of great times as a family picnicking up in the canyons. One of my fondest memories is of fighting the waves on strawberry reservoir after a huge storm suddenly moved in, and then, after landing the boat, seeking shelter in the only place we could find it: an outhouse. We waited the storm out, standing in the doorway with the door propped open so we could breathe. Anyway, dad loved hunting, he just didn’t kill anything. I think the reason is that, sometime before I was born, dad cut his finger really bad while gutting a deer, and I think he lost the desire to kill. But dad took me hunting annually. I always thought we were just really poor hunters, until one day dad had a really easy shot—a whole herd of deer bedded down in the grass at the break of dawn just a few yards away—he propped the gun against the truck, fired, and missed. It was then, after missing an absolutely unmissable shot, that I realized that dad really didn’t want to get a deer; he had missed on purpose. Hunting was just an excuse to get out in the mountains with me. 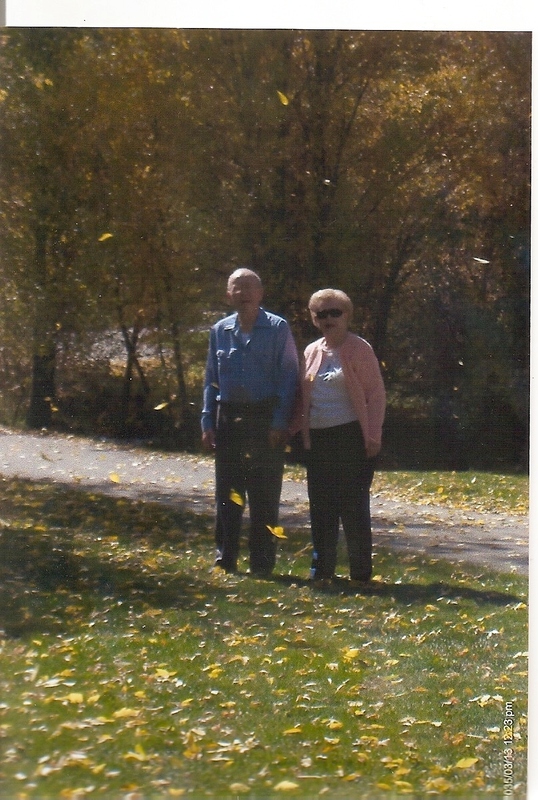 But dad didn’t have to be out in the mountains to enjoy nature. He loved to cultivate and plant his garden, help mom put in her flowers, and keep the yard looking nice. When he wasn’t working in the yard, he loved to sit in his swing and watch the birds that would flock to his bird feeders or feed peanuts to the bluejays that would swoop right up onto the porch. born, we were living back east, but mom and dad came out to see each baby blessing and then came out several times to just to play with their grandchildren. Since I was working and Zina was a grad student, we would usually send mom and dad off on an expedition with a grandkid or two in tow. In all their visits to DC, they ended up seeing more of the sites than Zina and I ever did. And they always took a grandchild along for the ride. 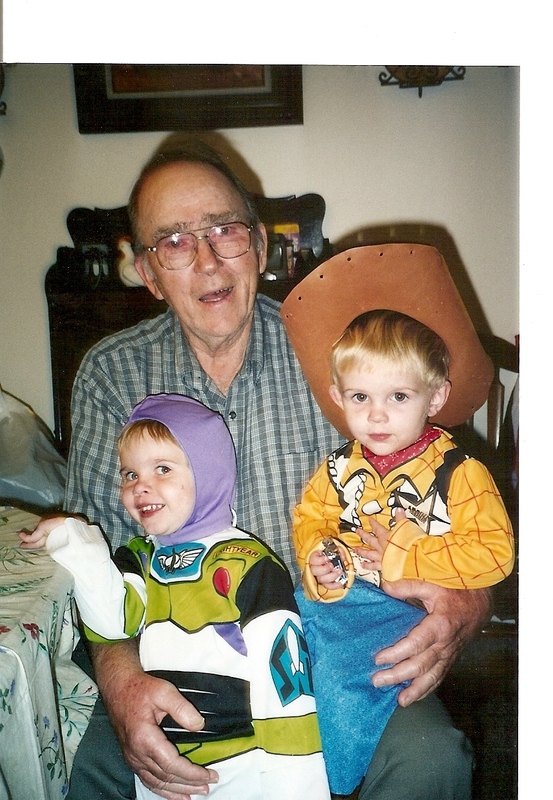 When Nate and Andy came along, they were grandpa’s boys. They adore their grandpa. Grandpa would work with them in the yard and, just as he did for me, he got them their own shovels and rakes and hoes and wheelbarrows, so they could join in. Nate and Andy will really miss their times with grandpa. Now my dad has left me alone again. When I watched as the mortuary took away his body last Friday, I felt the same emotion I felt when dad left me alone on the mountain ridge some thirty years ago: panic, fear, sadness. Dad has always been there and now he is not. But I know that, when it’s time, he’ll come back and get me just as he did then. 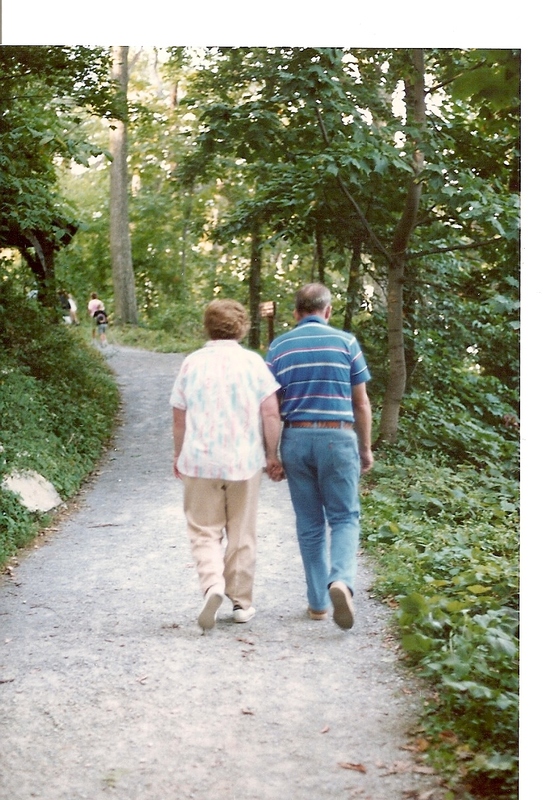 Dad always took care of his family, and I’m confident he still will. I imagine in heaven he’s going to be busy the next few months, rototilling a nice place for a small garden. Maybe getting the flower beds ready for mom to put in some heavenly petunias. And that when the rest of us get to the Petersen heavenly homestead, he’ll have things looking ship-shape and he’ll be in the backyard frying something on the barbecue. As Joseph Smith taught, “That same sociality which exists among us here [in this world] will exist among us there [in the eternities], only it will be coupled with eternal glory, which glory we do not now enjoy.” That gives me great hope that my relationship with my dad, his relationship with my mother, my sister, and his grandchildren, as well as with his brothers and sisters, mother and father, and uncles and aunts, and cousins, and nephews and nieces, even those gang members, will not end. That those relationships will continue in the hereafter. We will miss you, dad. We love you.